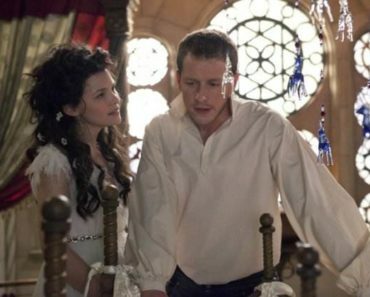 Once Upon A Time Season 7 Premiere Review: The Series Reboots in "Hyperion Heights"
It’s been a hotbed of controversy, but Once Upon A Time has finally returned. As a loyal viewer of the show for the past several years, I figured it was only right that I give the new version a chance. Most of you long time fans might cringe at what I’m going to say about that, but the reset was actually quite good. At least, it has potential to recapture the magic of the first few seasons, which has seemingly eluded the show ever since. We all know by now the premise: Adult Henry Mills is approached by a daughter he didn’t know he had, much like he did to his own mother years ago. Turns out, Henry’s true love was an alternate version of Cinderella. 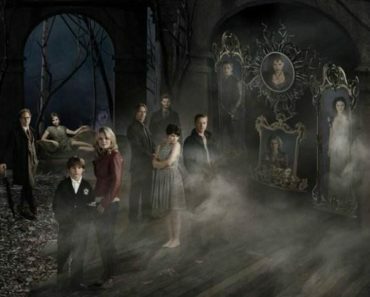 Unfortunately, they are all victims of a new curse that has also extended to Henry’s family….namely Regina, Hook, and Rumplestiltskin. 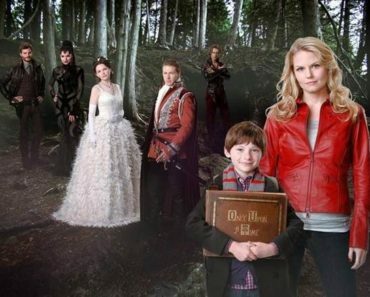 None of them, of course, know who they are, but Lucy (Henry’s daughter) remains convinced of their real-life role’s in Henry Mills’ best-selling book: Once Upon A Time. I think by addressing that Henry was trying to write a sequel and Lucy’s comment about the story not needing to be perfect may have been subliminal messages to the fans about the perception of Season 7, which fits into those categories in a roundabout way. This is Kitsis and Horowitz telling the audience that there are always bumps along the way, but that doesn’t mean the story isn’t a good one. I got a strong sense of that attitude after this episode, which I keep refraining from referring to as a “pilot”, but that’s really what it is if you think about it. Ultimately, what “Hyperion Heights” proves is that Kitsis and Horowitz can still write and still make a quality episode of television. The mystery and intrigue element definitely mirrors the pilot episode, too. It asks a lot of questions that can be answered over the course of the season, like “how did these characters get where they are?” and “Where are their spouses/siblings?” and the primary reason that viewers will stick around is to find out the answers to those questions. Even though its under very different circumstances, it’s good to be in this world again. 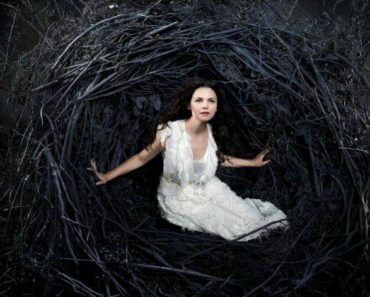 Rumple, Regina, and Hook are welcome sights. I was very glad to see Jared Gilmore in this episode. I had heard that actors would be reprising their roles this season, but nothing about Gilmore. So this was a welcome surprise. I’m really interested in the new characters. Cinderella and her family, Alice, etc. I’m not sure how to feel after one episode, but they’ve sure got my attention. Strong acting all around. Andrew J. West is perfectly cast as older Henry Mills. The only way they could’ve done better was to go forward in time 10 years and gotten Jared Gilmore back. This episode presented enough potential for me to continue watching for the time being. As much as I wanted this show to stick with the landing they stuck back in May, what they’ve presented so far is an interesting mystery with new characters and old, and something I’m definitely interested in continuing. What did you guys think? Are you sticking with the reboot? Let us know! 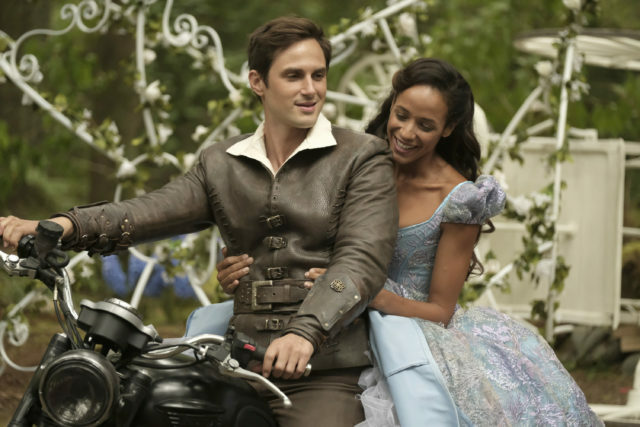 Once Upon A Time Season 7 Episode 1 Review: "Hyperion Heights"
Henry Mills meets his daughter and finds out he is subject to a brand new curse on the Season 7 premiere of Once Upon A Time.